You may never have heard of these lounges, but they are pretty exclusive. However, all you need to enter, is an American Express card. 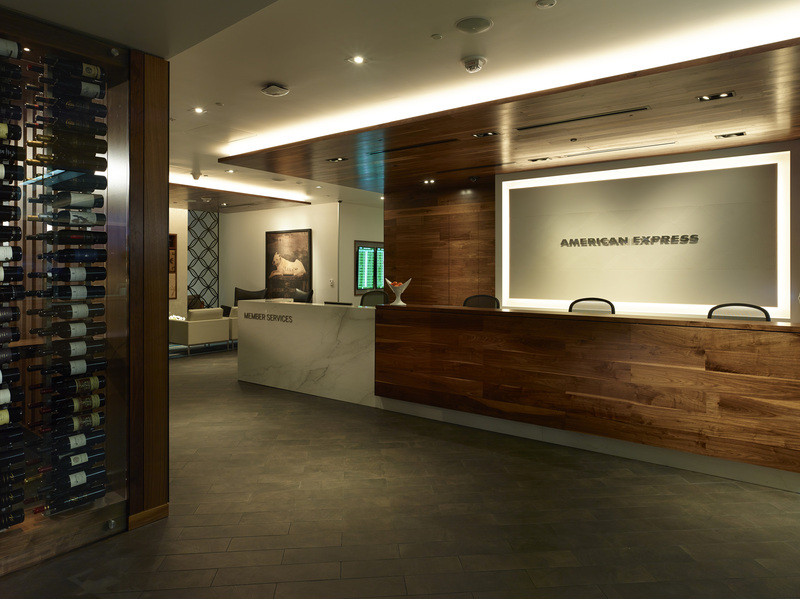 Yesterday American Express announced they are expanding The Centurion Lounge network by opening its seventh location at Houston’s George Bush Intercontinental Airport (IAH), terminal D. The 8,500 square foot Lounge is currently slated to open in the first half of 2016. Whilst no imagery has yet been released, we take you through their portfolio to get an understanding of what to expect. 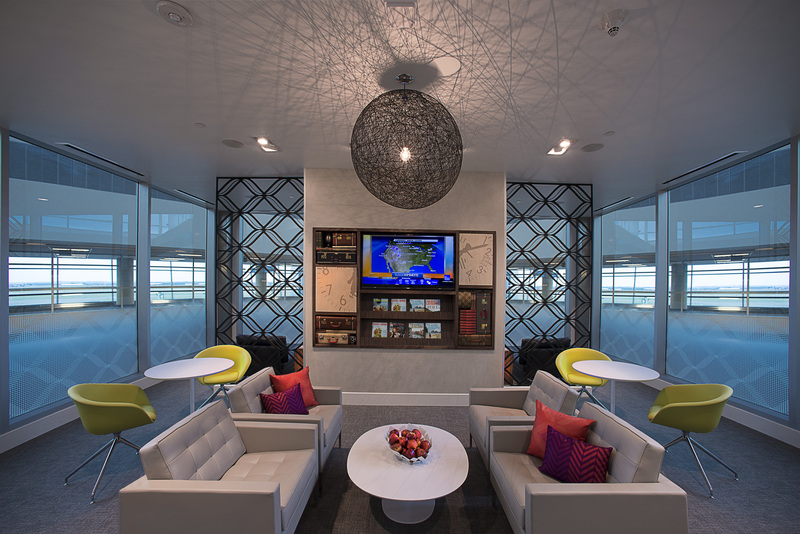 The Houston lounge will be rolling out the same high level amenities that come as standard across its network. Expect noise-buffering workspaces, private showers, private phone areas, a family room, comfortable seating, a computer bar, tranquility areas and access to high-speed Wi-Fi. A complimentary full bar and food buffet will be available to Card Members in the Lounge too. 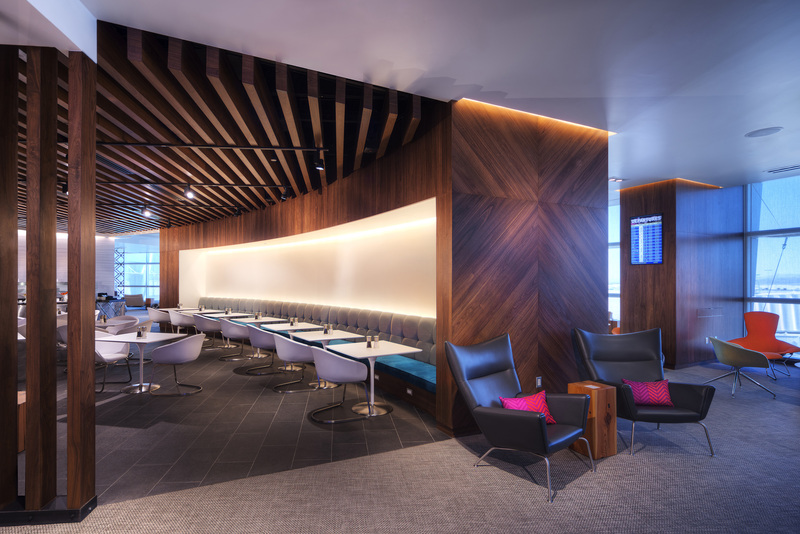 They don’t fall short on their promise of ‘amazing experiences’ as each lounge has seemingly been beautifully and uniquely designed, while following the signature design aesthetic that brings all six operating lounges in line. The most recent to open is in Seattle Tacoma airport. At just three weeks old, the latest lounge offers a similar boutique design experience, although is dubbed a ‘Centurion Studio’ due to the slightly smaller footprint. Embracing local product, Seattle’s studio offers a range of food and drink offerings including Anna’s honey, Ellenos Yogurt and Marge Granola, Macrina Bakery artisan baked breads, Theo artisanal chocolate and Tim’s Cascade Chips, as well as seasonal fresh fruit and crisp crudités with hummus. Passengers can also enjoy handcrafted Jones Soda, IPA’s from Georgetown Brewing Company or award-winning wines from the Columbia Valley. Being Seattle, coffee lovers can rejoice and enjoy locally-brewed Caffe Vita. It’s not just about food though, the more exclusive guest list (Platinum Card and Centurion Card holders only due to the smaller space) will be able to enjoy comfortable seating, charging stations, and free high-speed Wi-Fi. 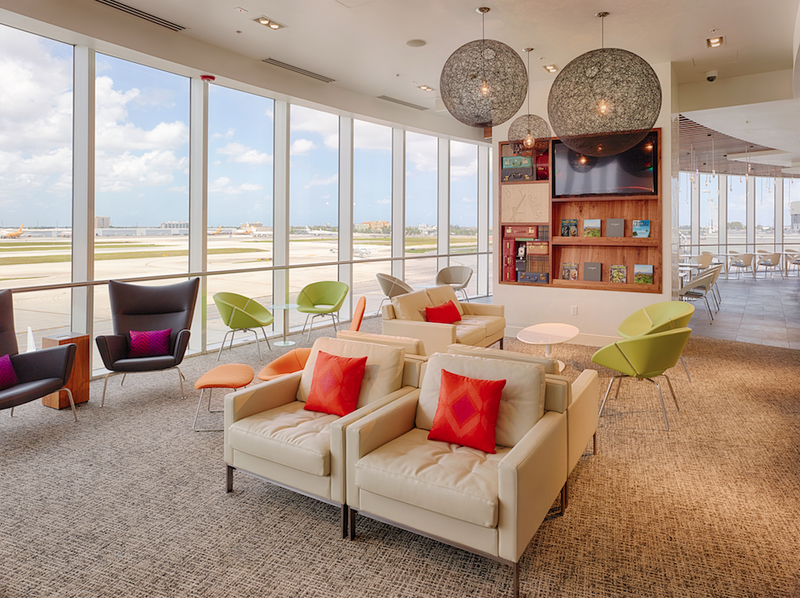 Last month another Centurion lounge opened in Miami International Airport, and at 8,000sq ft this lounge has taken the Florida vibe to heart, offering a contemporary beach house vibe. 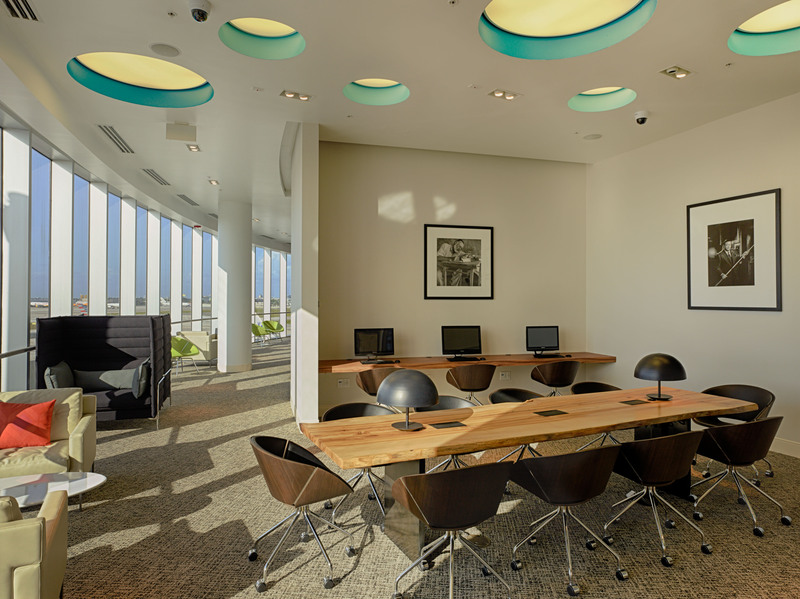 The space includes several unique features that pay homage to the city’s reputation for design, most notably a floor-to-ceiling textural wall resembling a wave that gives a nod to the city’s coastal vibe. 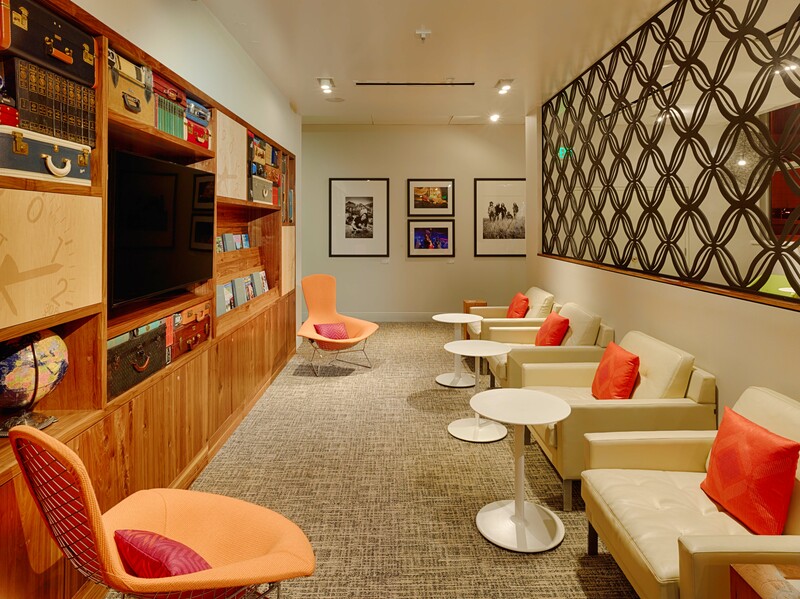 Like its sister locations, the lounge features artwork by Rock Paper Photo, highlighting iconic entertainment and music moments from Miami. As well as offering the usual perks associated with Centurion lounges, the Miami version offers a range of complimentary amenities including world-class food from local James Beard award-winning Chef Michelle Bernstein, cocktails from renowned Mixologist Jim Meehan, dedicated work spaces with high-speed wifi and plenty of power outlets, cozy semi-private nooks and a favourite, soundproof kids play area. Although our eyes have turned to the complimentary spa treatments from exhale spa, including massages and manicures similar to the one found in Dallas Fort Worth. Miami (MIA), Seattle (SEA) and Houston (IAH) joins locations in Las Vegas McCarran International Airport (LAS), Dallas/Fort Worth International Airport (DFW), New York’s LaGuardia Airport (LGA), and San Francisco International Airport (SFO). 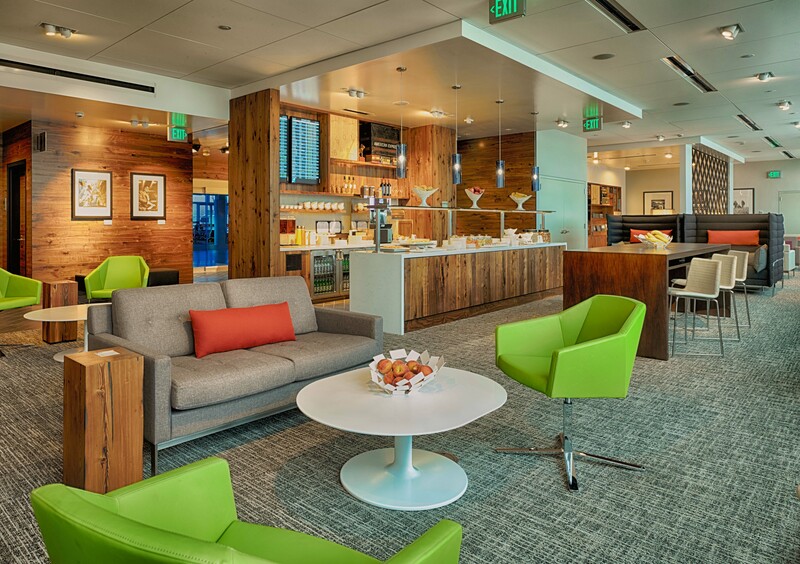 Entry to The Centurion Lounges is complimentary for consumer, Business and Corporate Platinum Card and Centurion® Members, and their immediate family or up to two travel companions. 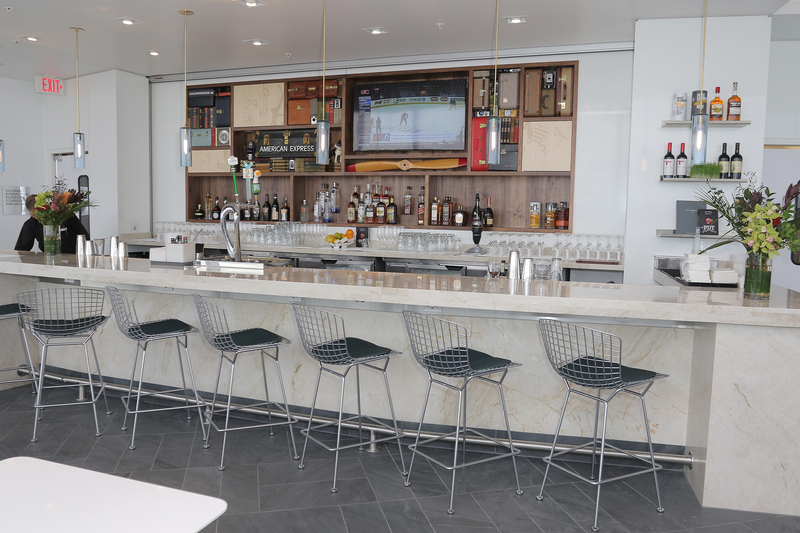 Other American Express Credit and Charge Card Members may purchase a one-day pass at The Centurion Lounge for $50**. Entry to Seattle’s Centurion Studio is only available to Platinum and Centurion card holders. Day passes won’t be available for purchase at The Centurion Studio. Only Platnium and Centurion card holders get in free. All other Cardholders will be charged $50.